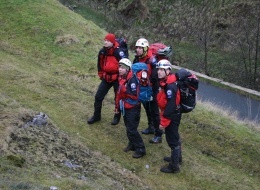 On the evening of Friday 20th January, five nervous but excited CVSRT Probationary Members arrived at the Mytholmroyd base to find out what the weekend entailed. This was a date that we had been working towards since joining the team 12 months ago. We had spent all day racking our brains as to what potential scenarios were in store for us. 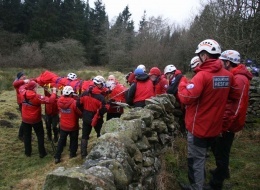 As it turned out, we were no wiser other than our Proby Training Officer, Al Day saying, “Grab a full fell party kit, load into the vehicle and follow me”. As we headed towards Burnley and proceeded to join the M65, we knew we were going out of ‘our patch’. Following a drive out onto the moor we were told to await further communication via radio. 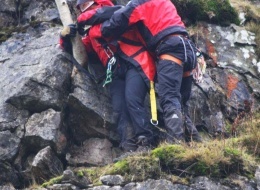 This led to us checking all our kit for the tenth time or so to ensure that all was well and that we could locate any item when needed. 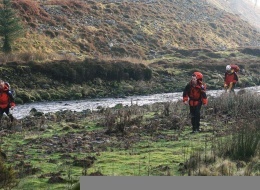 A crackling over the radio soon revealed that a navigation exercise was the first task of the night. 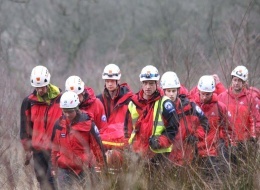 After a rendezvous with two members of Bowland Pennine Mountain Rescue Team, we were given a tasking to locate an exhausted walker in a clough. An area once in darkness was illuminated as we proceeded to sweep our way down the clough. The walker was soon located, and after warming and giving him food, he was escorted to the nearby farm, where other team members were waiting. 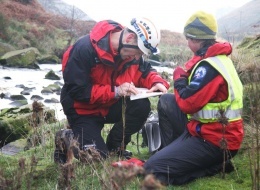 That search led to a further tasking for a missing farmer. 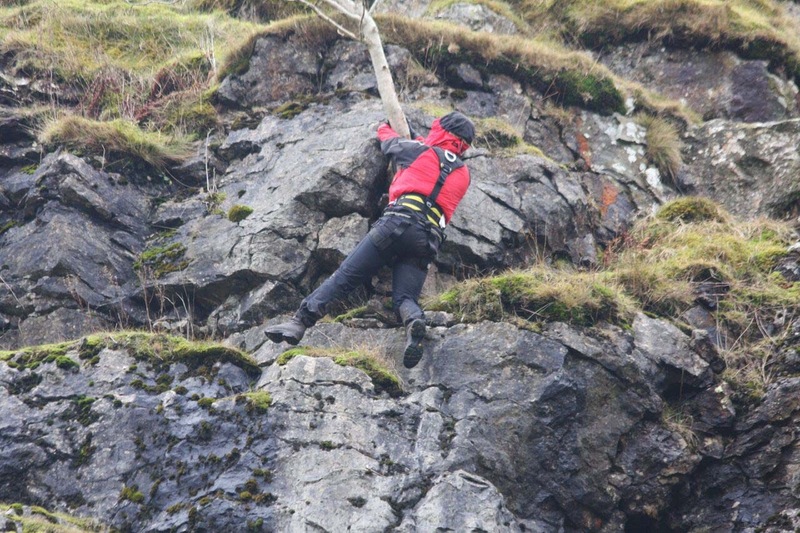 After a brief of the search area we were off again, on this occasion other skills were required with the need to contact the ‘exercise’ police officer, (thanks Ben). Having dealt with the incident, we were then directed back to the vehicles in order to head to our accommodation for the night. We did not know what this would comprise of, other than ‘not camping’. 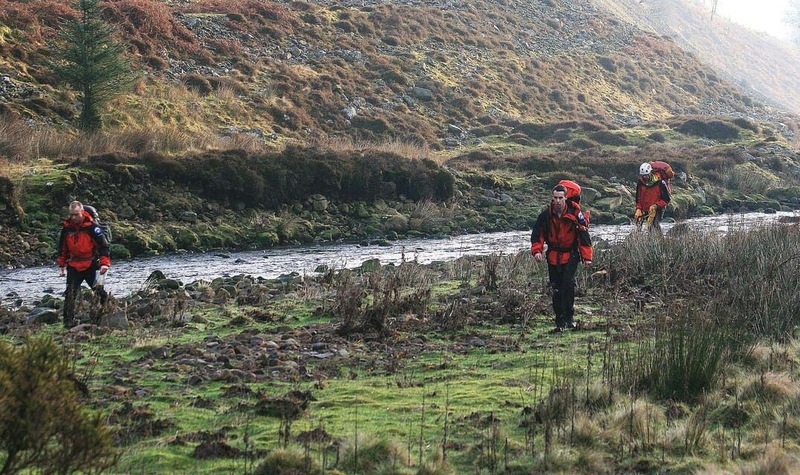 On arrival at the bunkhouse, (which turned out to be Bowland Pennine MRT’s Smelt Mill base), we were welcomed with the smell of food, which was greatly appreciated and needed. 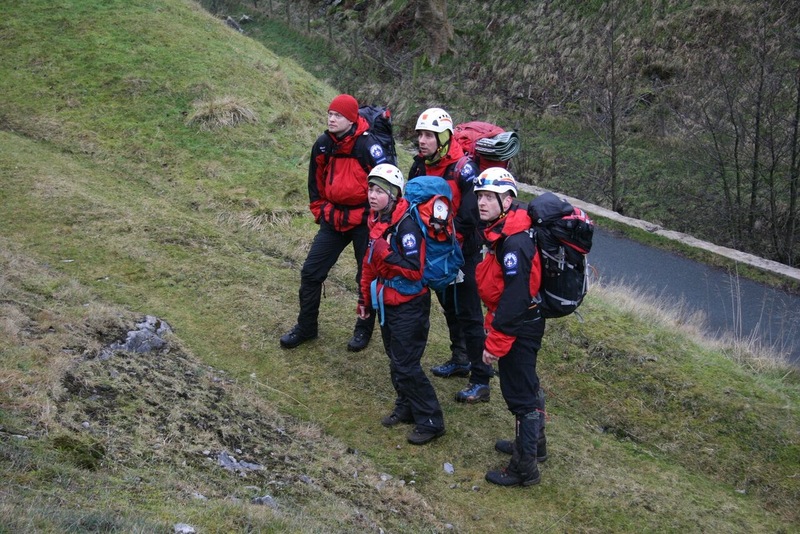 We were still on edge though and wondering if another ‘call out’ was due following the food. This however did not materialise and we were all able to get some much-needed sleep. 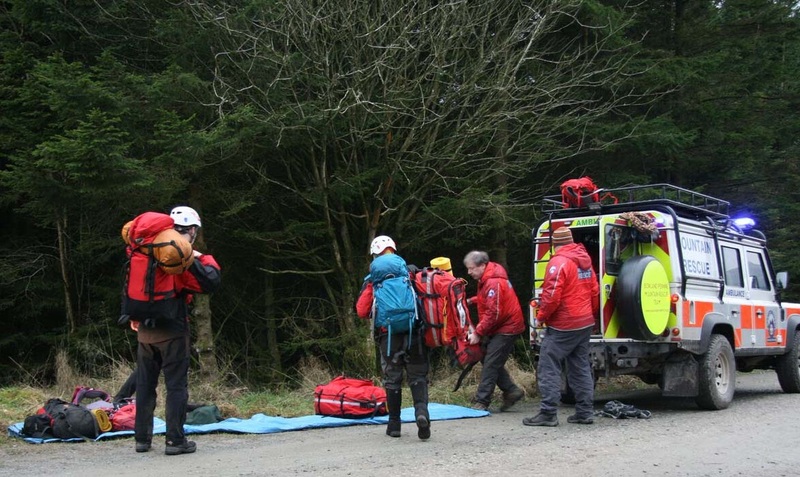 The next morning, we woke to cold, crisp conditions and after another briefing and change in the various fell party roles, were in a mini bus heading towards the area where a fisherman had called for assistance having injured his leg. 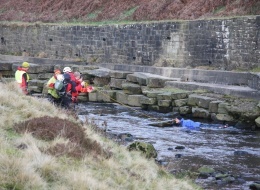 Following a search along the riverbank the team identified the individual who was located in the water. 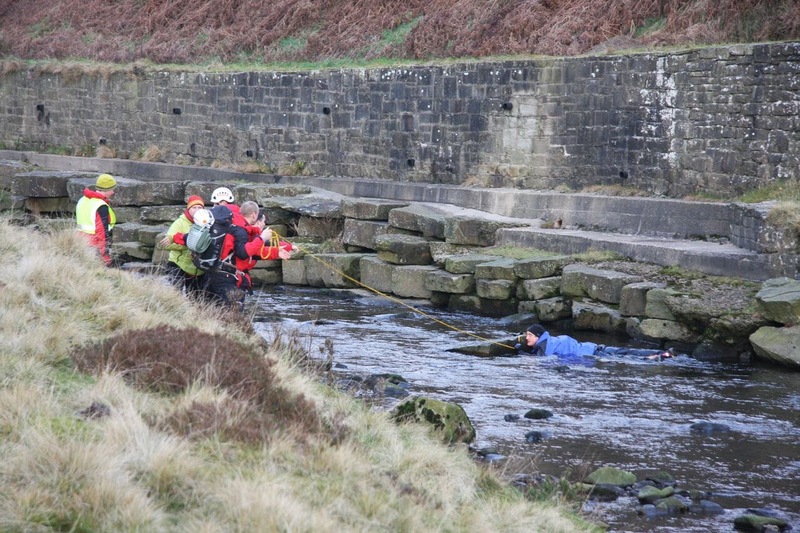 Quick decisions were necessary to ensure swift extraction of the casualty. 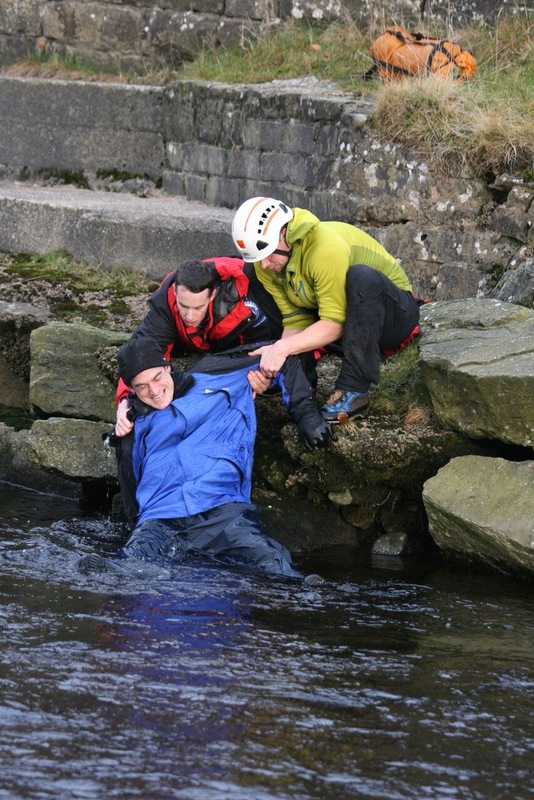 With the use of throw lines we were able to secure and remove him from the water in order to provide first aid whilst getting him warm. 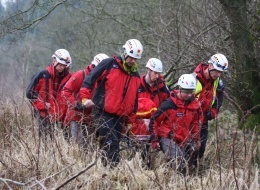 A request for other team members swiftly enabled the casualty to be stretchered to the nearby road. 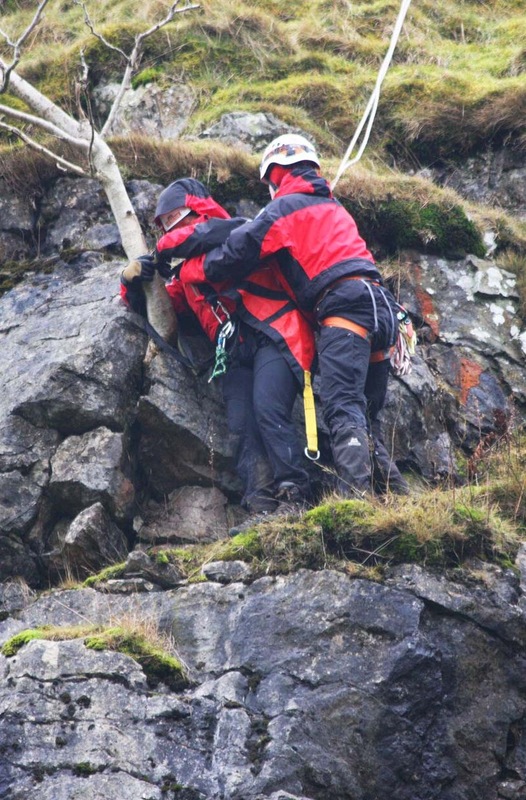 As the incident concluded we tidied the used kit away ready for the next tasking, we didn’t have to wait long to receive news that a dog walker was stuck on a crag with a potential arm injury in a quarry 500m away. 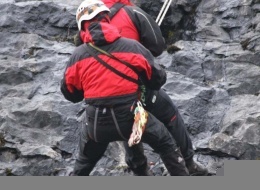 Once on scene it was clear that a rope system would be required in order to attend to the casualty. 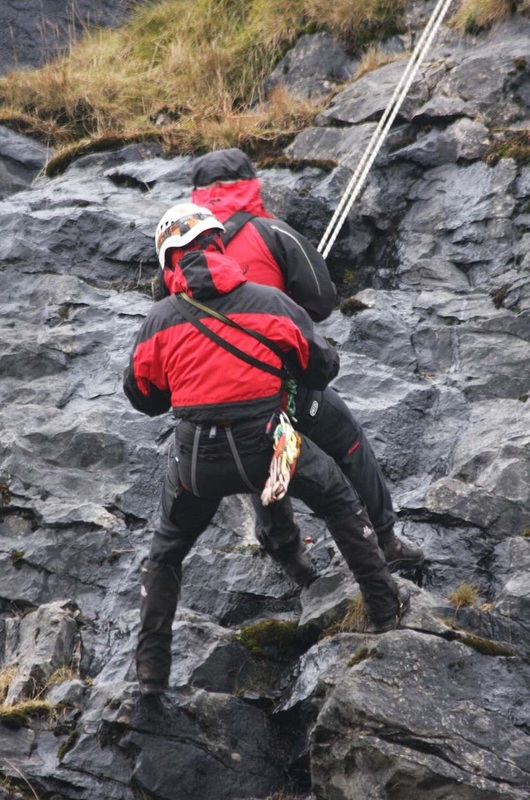 Rope bags, helmets and harnesses were quickly obtained from vehicles before proceeding up to the top of the quarry to rig up a system to enable a single man to be lowered, to treat the casualty’s injuries and then descend safely down the crag. 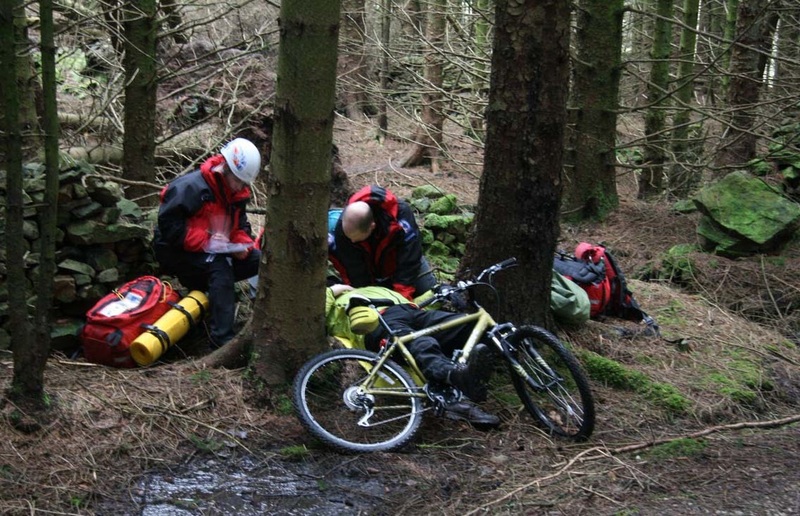 Following a brief stop for lunch, Bowland Pennine MRT member’s pagers were going off, this made for a more realistic scenario and it wasn’t long before we received another tasking to an injured mountain bike rider who had come off whilst on a forest trail. 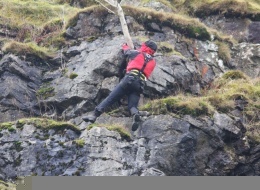 While in transit to the location, the best route to access the casualty was decided. 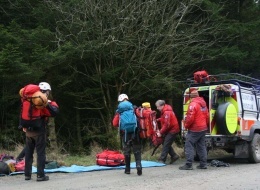 On arrival kit was gathered and swiftly taken to the scene. 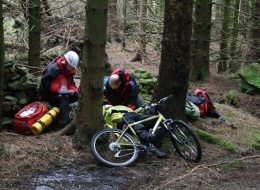 With mountain bikes still using the various trails, part of the challenge was to ensure the safety of everyone, with various look outs being deployed. 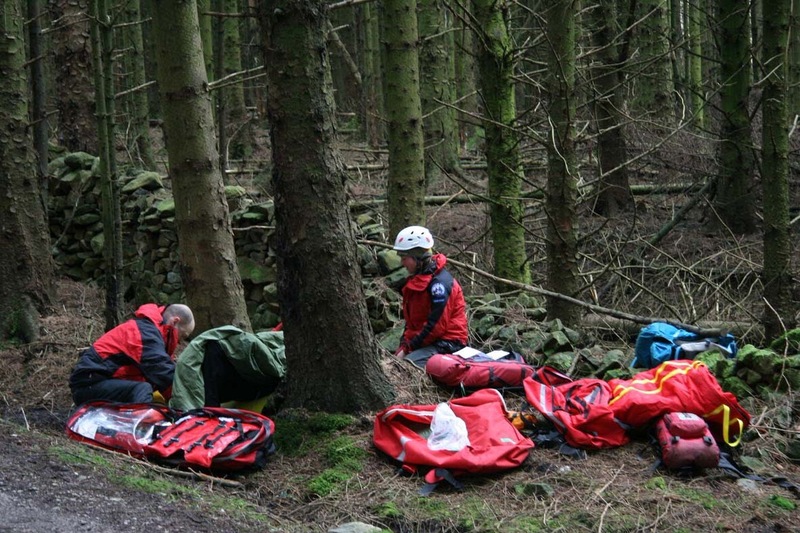 It was clear from the injuries that an ‘exercise air ambulance’ was required, and following treatment and packaging, the casualty was stretchered to a clearing that had been identified as a suitable landing site. 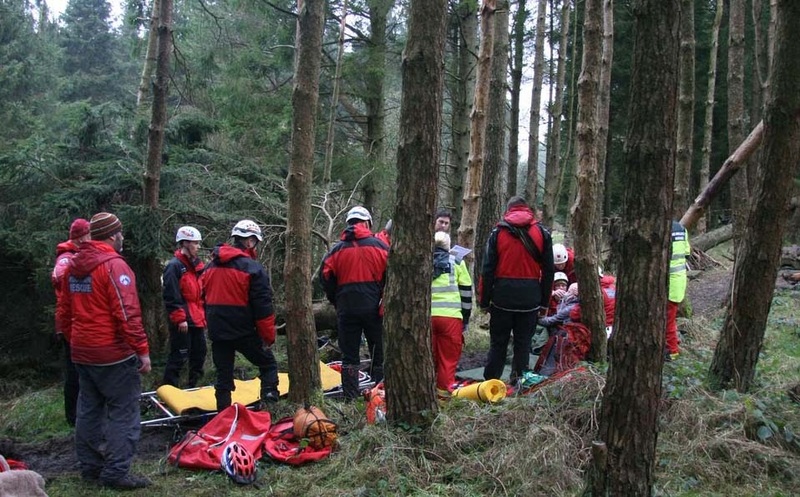 What we didn’t realise was that an air ambulance had actually been requested, but unfortunately at the time the potential helicopters that could be utilised were unable to attend due to weather or already being at incidents. 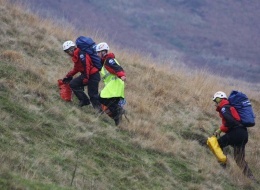 It therefore meant a stretcher carry back to the vehicles. 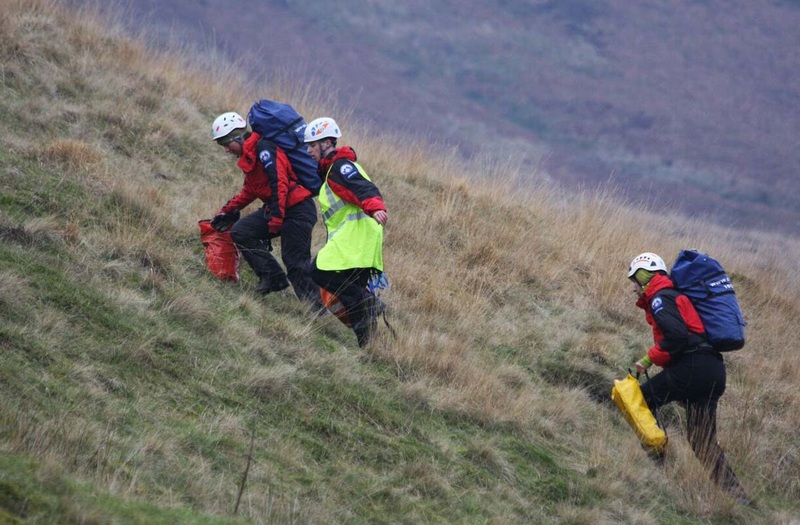 Whilst unstrapping the ‘exercise’ casualty, the Bowland Pennine MRT pagers went off again. It was clear that this was not another scenario but a real incident! 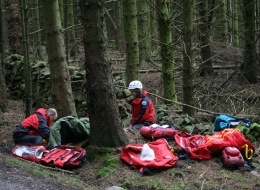 We proceeded with all the kit we had just used 500m up the road to the casualty site. On arrival at the incident, it became apparent that this was a virtual mirror image of what we had just encountered. 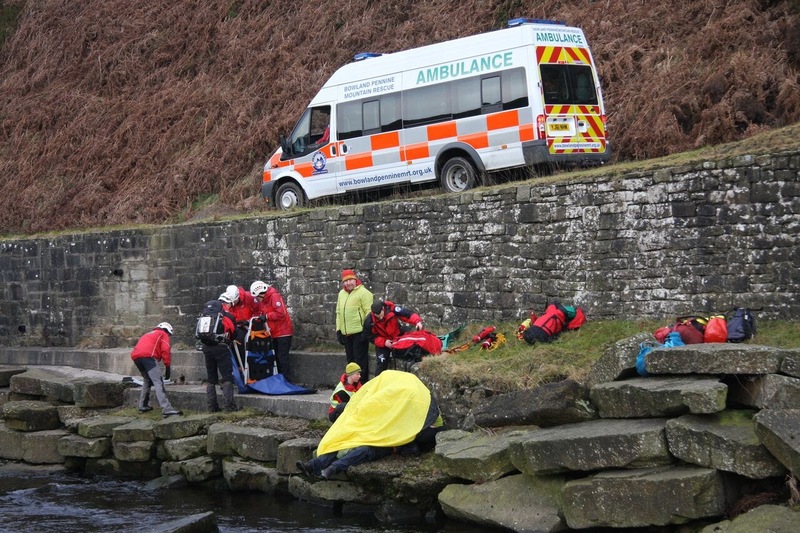 Members from both teams knew their roles allowing the casualty to receive prompt treatment and packaging. 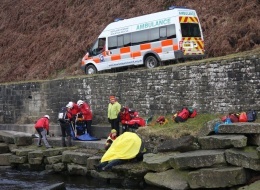 As it transpired, the North West Air Ambulance was nearby having been requested at the last minute to attend our exercise scenario, so fortunately they were on hand to assist with the air evacuation of this real casualty. 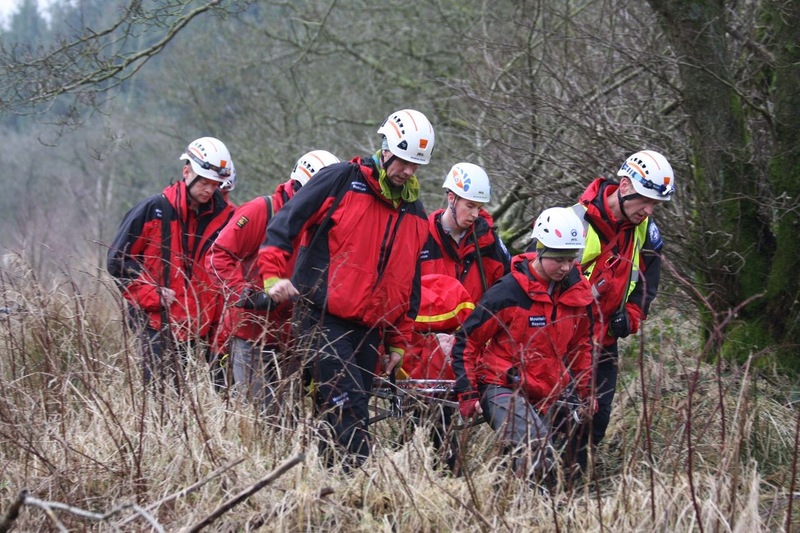 Following examinations by the aircrew paramedics and team paramedic, the casualty was carried to the helicopter for onward journey to hospital. 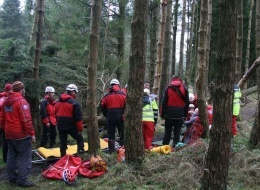 Once the helicopter had departed we were able to reflect on what had just happened and wonder what was next. We headed back to Smelt Mill to check all our kit and then we were given a grid reference and told to navigate to that point and await further instructions. We soon realised that the grid reference given was our current location! 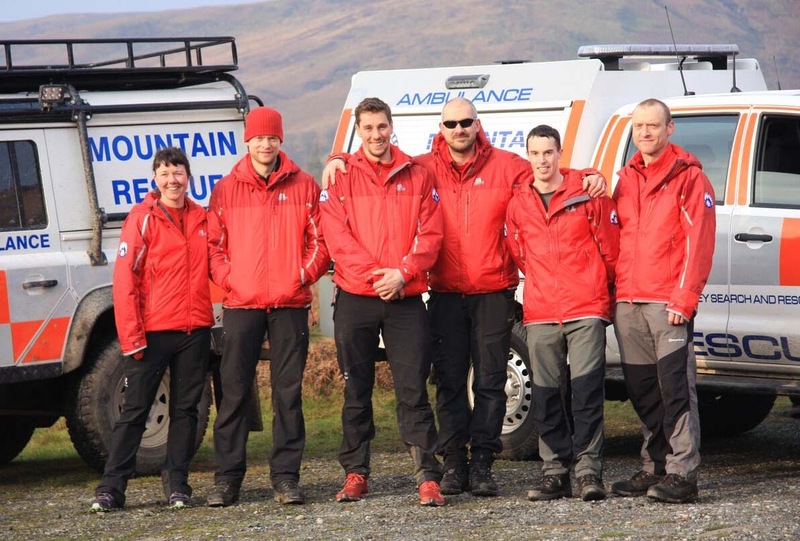 We therefore took this as a sign that the exercises were now over, once this was confirmed we able to relax and review what we had achieved over the assessment along with the journey to get us to this point. 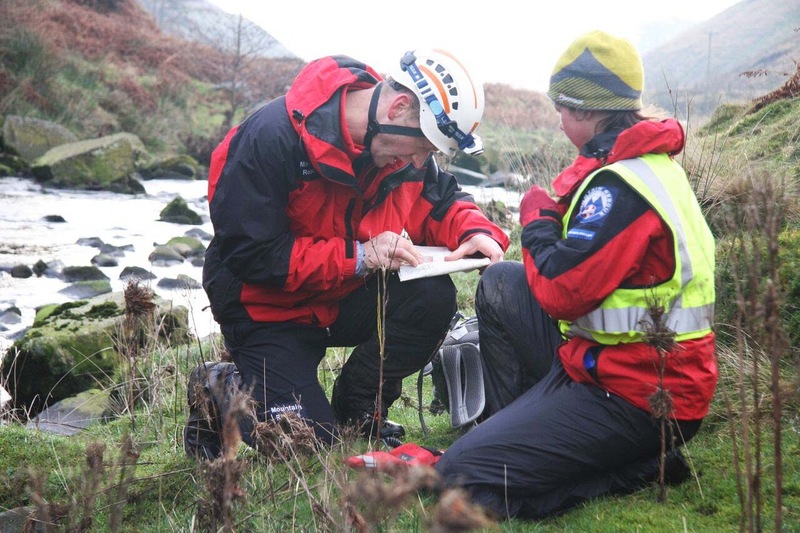 When we completed the Ireland trip after our first 6 months as trainees, we felt we had learnt a lot but knew there was still a lot to learn. 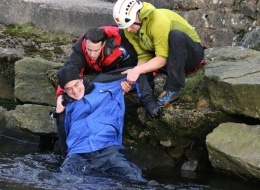 Now at the end of our final probationer’s assessment we felt the same but for now we could relax knowing we had been put through our paces and reacted well to the various scenarios. Many people were involved in the weekend and therefore need to be thanked. 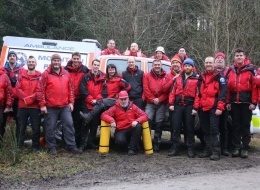 Most notably were the Bowland Pennine MRT members who assisted with the scenarios and provided accommodation over the weekend; their support throughout was greatly appreciated. 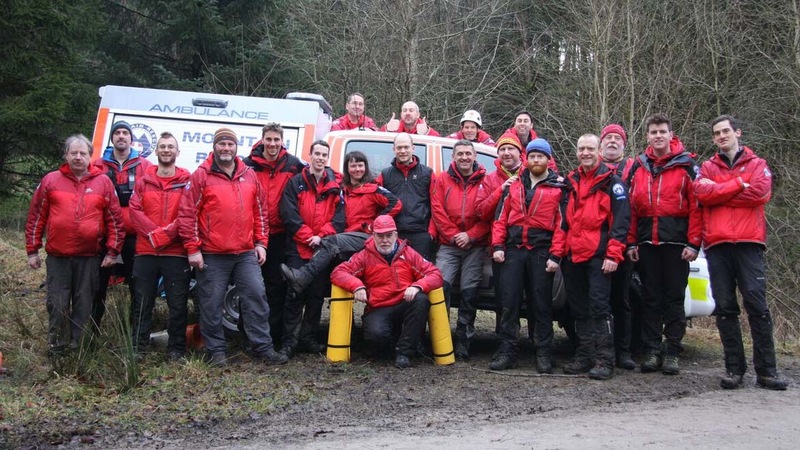 They say an army marches on its stomach; this is no different for Mountain Rescue teams and it must be said that the food that Becky and Rob put together was superb, with the times for eating often being quite unsociable, so thank you. The training that we have carried out in the Calder Valley would not have been possible without the support of the team members who have been ‘exercise’ casualties, provided assistance on training nights and have generally been on hand for any questions we have. A particular thanks must go to Al Day and Neil Anderson for all their time and patience throughout the process. 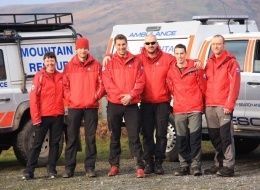 We now look forward to being full team members.